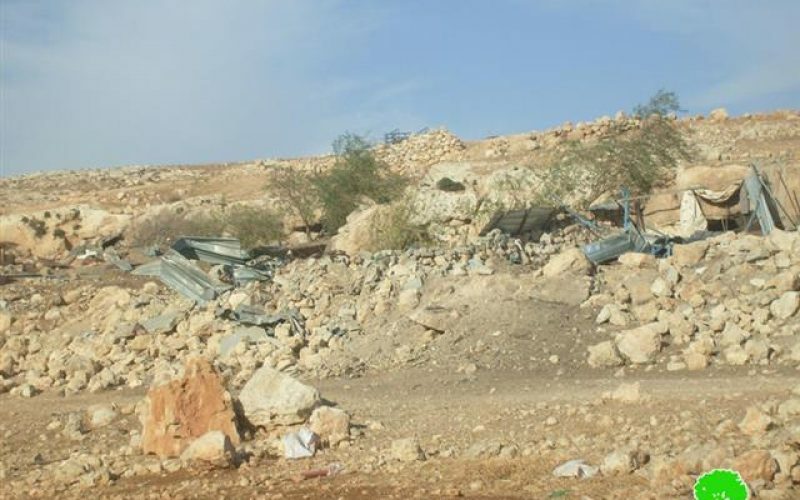 The family of Ibrahim Abu Khraibish had to leave the area of Tuqu' near Bethlehem looking for a better life in Fasayil el-Wusta where they got their structures destroyed and ended up homeless out in the open. 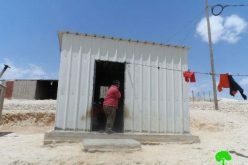 This case is one of many the Bedouin families, which resided that area looking for a better life and shelter, encountered. 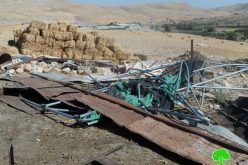 At the early hours of Tuesday 24/12/2013, a massive force of the Israeli army raided the village of Fasayil el-Wusta( 17km to the east of Jericho) and embarked demolitions on a house (made of bricks and metal slabs) and four barns. This is proves the colonial plan of expansion and residents ' displacement. The community of Fasayil el-Wusta is located amidst of the middle parts of the Palestinian Jordan Valley(17 km away from Jericho). The resident of the community came originally from different places. For example, the family of Rashaydeih came from the displaced town of Ein Jedi in 1948 whereas the family of Gazal and I'byyat came from the villages of Bethlehem. The expelled families resided in several areas like al-Mu'rajat , Nuay'meh and al-Auja. 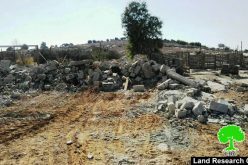 The Israeli occupation claims the lands of the community as State lands and inaccessible to Palestinians. 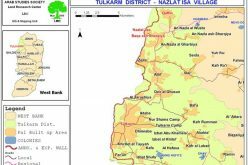 On 09/03/2011, the occupation notified the whole community with evection under the pretext of construction within State lands. 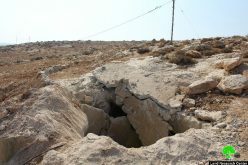 It should be marked that residents submitted many pleas to the Supreme court of Israel to be allowed to reside in the area but the final verdict came with rejection and compelled them to immediate evection. As a result, 140 residents of the community were threatened of exodus. 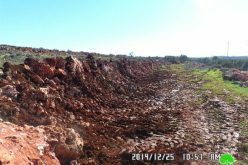 In synchronization with the aforementioned violations and assaults, the nearby colonies of Tomer and Fasayil have been going under expansion and establishment of new outposts on the recently confiscated lands of the Palestinians.